Heavy-duty PVC (polyvinyl chloride). 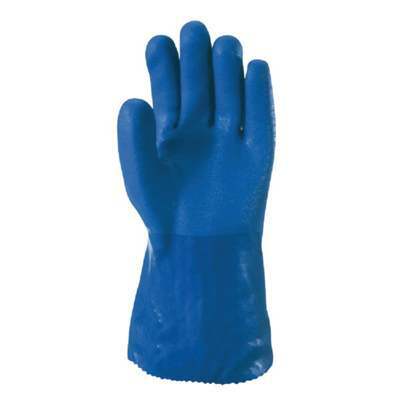 Extremely flexible, blue PVC coating over cotton, seamless knit lining. Textured finish, straight thumb. 12 In. gauntlet cuff. Size: men's large.